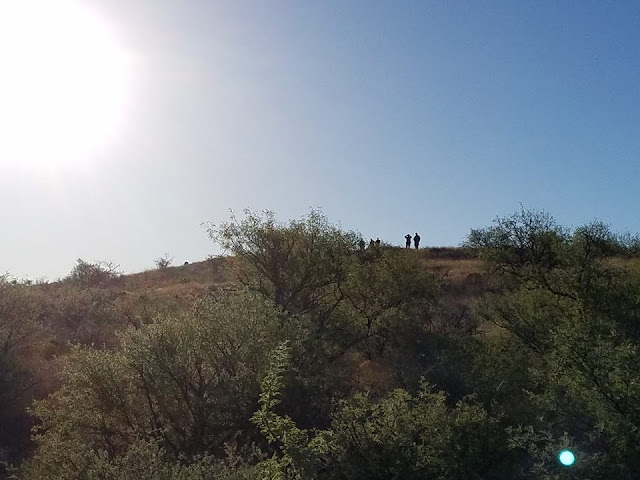 Above: Border Patrol agents at No More Deaths Camp entrance in Arivaca, south of Tucson, on Thursday before arresting four migrants in need of emergency medical aid. 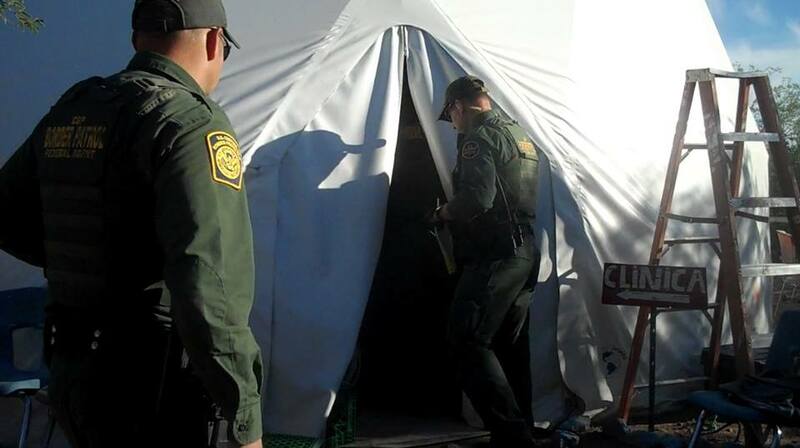 Below: Agents from the Nogales Border Patrol station stalking the humanitarian aid camp on Wednesday and Thursday. 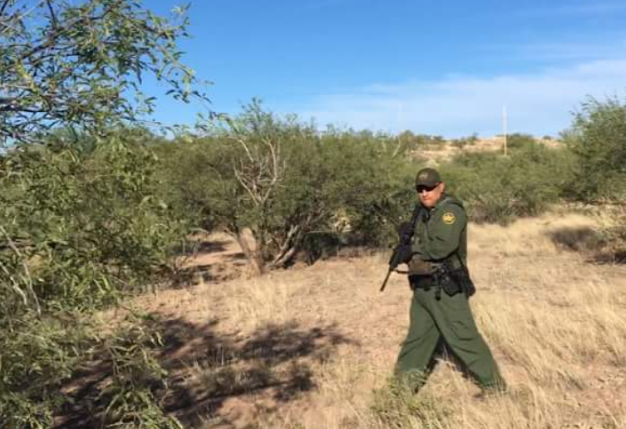 Border Patol Agents attack medical aid camp for migrants at Arivaca. On Thursday, 30 armed agents entered camp with at least 15 trucks, two quads and a helicopter overhead and arrested four migrants receiving emergency medical aid, as deadly heat wave approaches with southern Arizona temperatures to reach 120 degrees. Thursday, June 15th, 6:00 pm, Arivaca, Arizona: In temperatures surging over 100℉, US Border Patrol raided the medical aid camp of humanitarian organization No More Deaths, and detained four individuals receiving medical care. 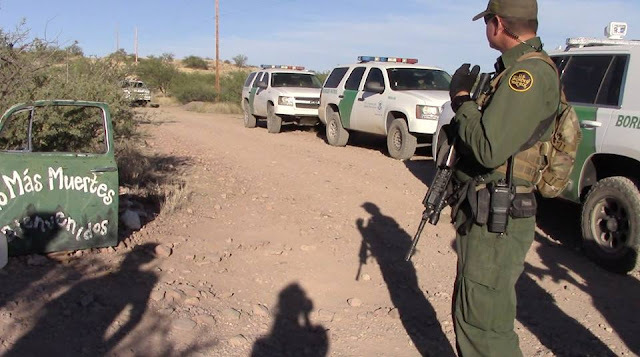 Obstruction of humanitarian aid is an egregious abuse by the law enforcement agency, a clear violation of international humanitarian law and a violation of the organization’s written agreement with the Tucson Sector Border Patrol. 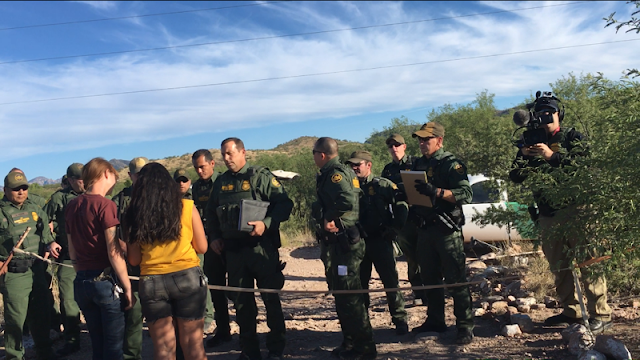 Agents from the Border Patrol began surveilling the No More Deaths’ camp on Tuesday, June 13th at around 4:30 PM. Agents in vehicles, on foot and ATV’s surrounded the aid facility and set up a temporary checkpoint at the property-line to search and interrogate those leaving about their citizenship status. The heavy presence of law enforcement has deterred people from accessing critical humanitarian assistance in this period of hot and deadly weather. These events also follow a pattern of increasing surveillance of humanitarian aid over the past few months under the Trump administration. This afternoon, in an unprecedented show of force, approximately 30 armed agents raided the camp with at least 15 trucks, 2 quads and a helicopter to apprehend four patients receiving medical care. 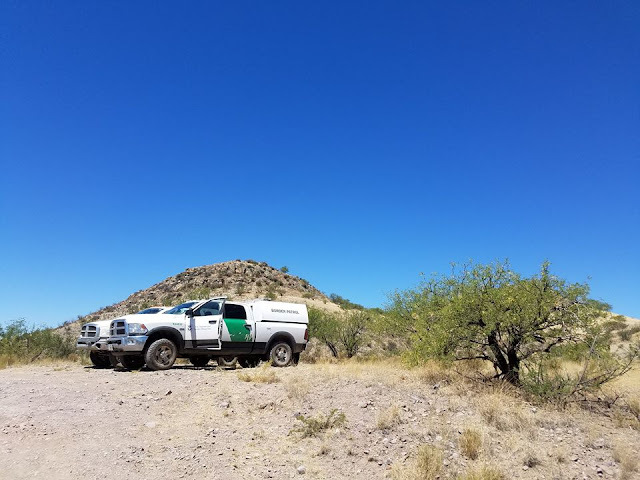 For the past 13 years, No More Deaths has provided food, water, and medical care for people crossing the Sonoran desert on foot. 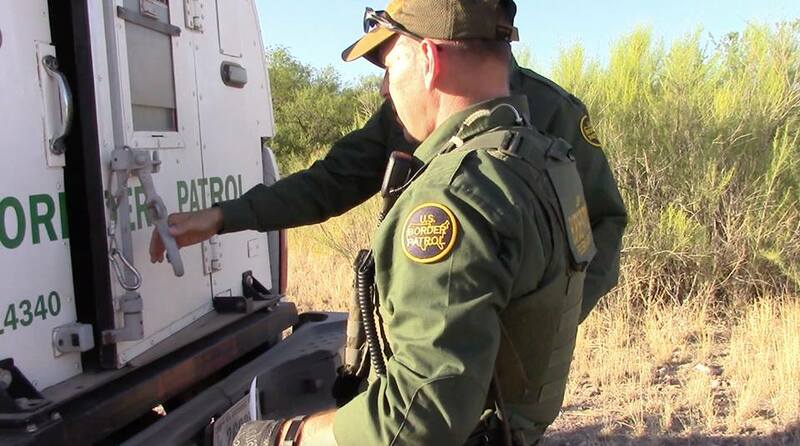 The ongoing humanitarian crisis caused by border enforcement policy has claimed the lives of over 7000 people since 1998. Human remains are found on average once every three days in the desert of Southern Arizona. Kate Morgan, Abuse Documentation & Advocacy Coordinator for the organization said, “No More Deaths has documented the deaths and disappearances of hundreds of migrants in the Arivaca corridor of the border. Today’s raid on the medical aid station is unacceptable and a break in our good faith agreements with Border Patrol to respect the critical work of No More Deaths”. 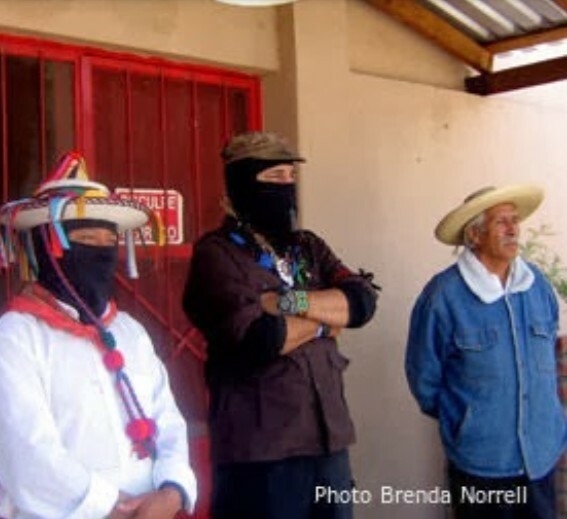 John Fife, one of the founders of No More Deaths, commented that, “Since 2013 the Tucson sector of the Border Patrol has had a written agreement with No More Deaths (NMD) that they will respect the NMD camp as a medical facility under the international Red Cross standards, which prohibit government interference with humanitarian aid centers. That agreement now has been violated by the Border Patrol under the most suspicious circumstances. The Border Patrol acknowledged that they tracked a group for 18 miles, but only after the migrants sought medical treatment did the Border Patrol seek to arrest them. The choice to interdict these people only after they entered the No More Deaths’ camp is direct evidence that this was a direct attack on humanitarian aid. At the same time, the weather forecast is for record setting deadly temperatures”. 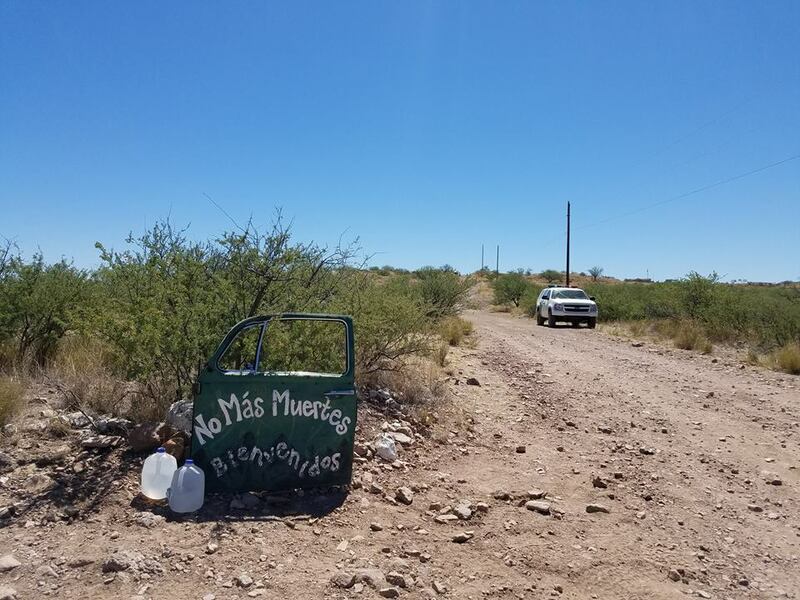 People crossing the deadly and remote regions of the US Mexico border often avoid seeking urgent medical care for fear of deportation and incarceration. For this reason, a humanitarian focused aid station in the desert is an essential tool for preserving life. The targeting of this critical medical aid is a shameful reflection of the current administration’s disregard for the lives of migrants and refugees, making an already dangerous journey even more deadly. 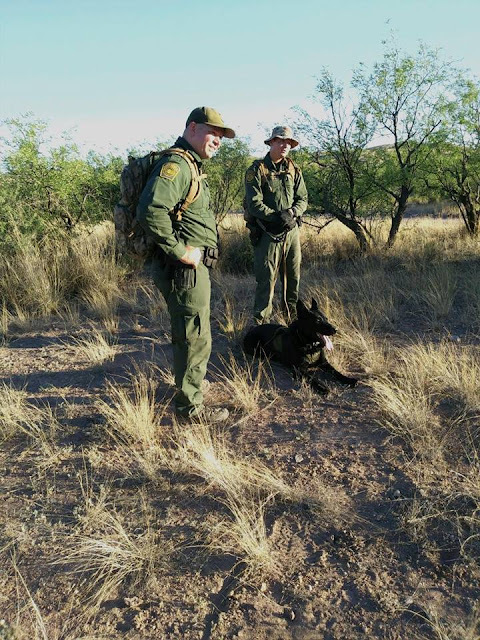 No More Deaths Camp was attacked by Border Patrol agents who arrested four migrants receiving emergency medical aid at Arivaca, south of Tucson, late Thursday. 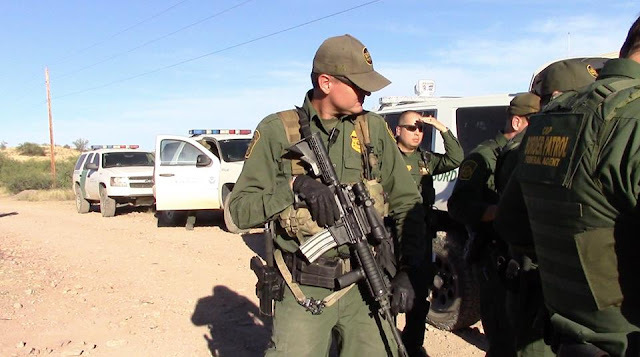 This photo shows America's current violent attacks being carried by heavily armed police and agents targeting dying migrants crossing the desert on foot; the voiceless; the desperate and Indigenous Peoples, as was done by militarized police at Standing Rock. The weather forecast in southern Arizona is for deadly heat, with temperatures to reach 120 degrees. Attacking emergency medical aid is an humanitarian crime.